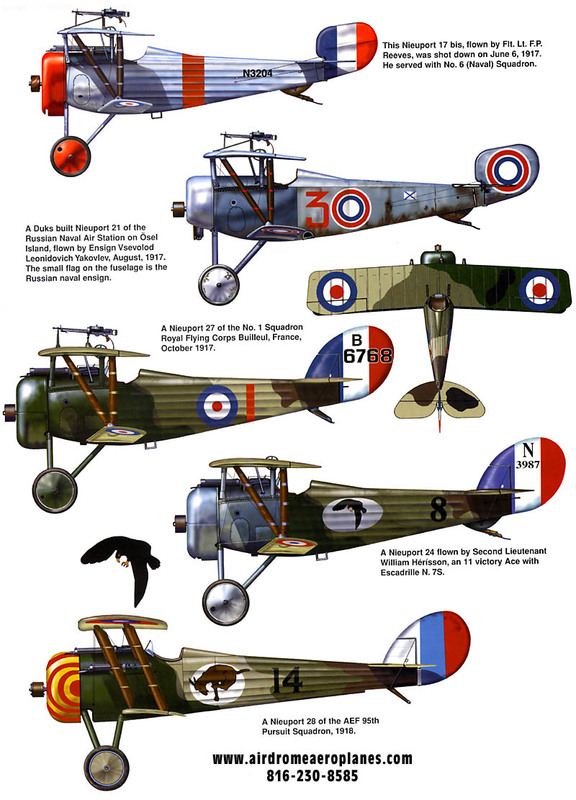 During the closing weeks of the First World War there appeared over the front lines a nimble little monoplane that is generally credited as being one of the finest fighters of the war. 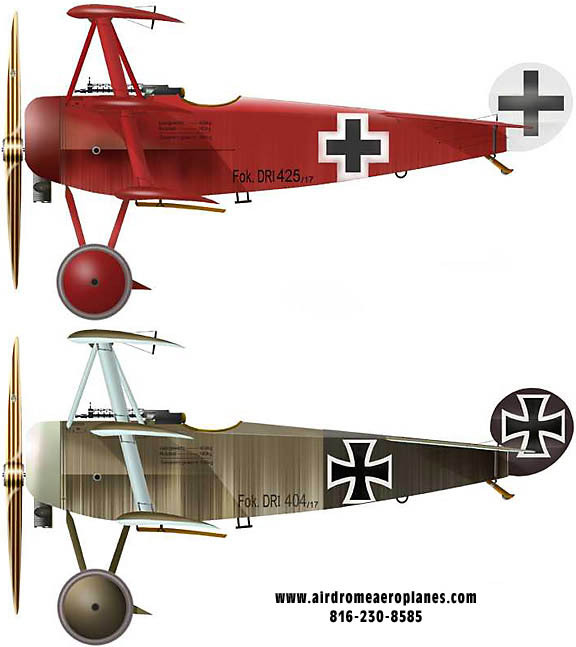 This was the Fokker D-VIII of the German Air Force. Powered by a rotary Oberursel engine of 110 horsepower, the D-VIII had a speed of 115 m.p.h. It climbed at a rate of 1,500 feet per minute and could climb to over 20,000 feet. Its ability to maneuver and dive was unexcelled. So superior was the performance of this ship that it would have been a tremendous blow to the Allied Air Forces had a great number been completed before the war's end. Only thirty-six D-VIIIs entered combat service during the last weeks of the war. Even though it was underpowered, it was still an excellent fighter. 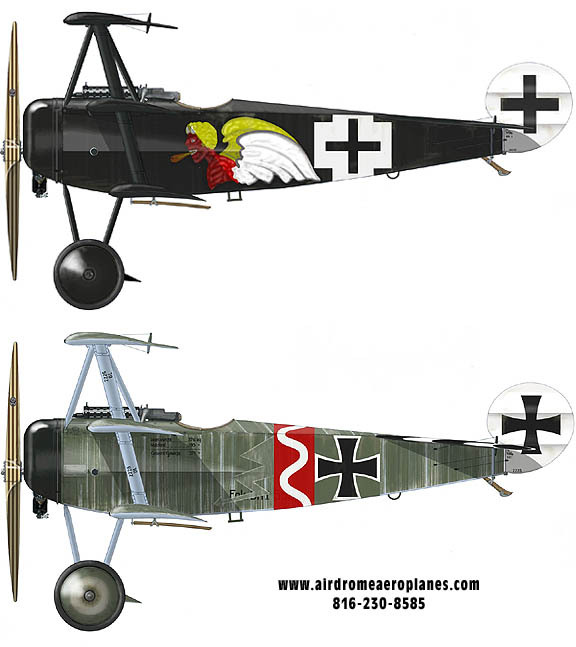 The last aerial combat victory of WWI was an aircraft shot down by a Fokker D-VIII. 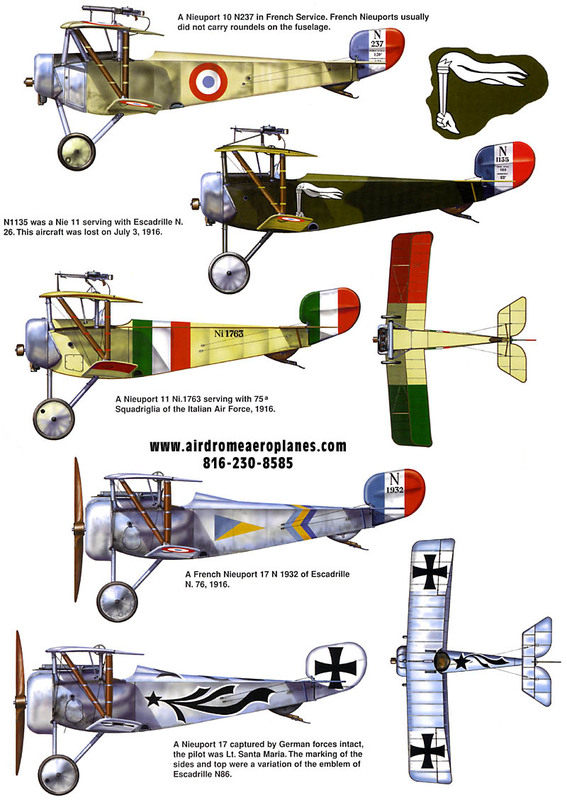 Because of its narrow profile, the allied pilots called it "The Flying Razor." 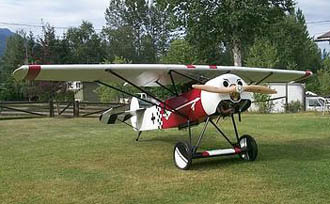 The Airdrome Airplanes 3/4 scale FOKKER D-VIII can be constructed using normal hand tools consisting of hacksaw, hand drill, file, pop rivet gun, wrenches, and hand nico press tool. Area required for construction should be approximate the size of a single car garage.